Motorcycle accidents and bike wrecks carry with them the frightening potential to cause spinal cord damage. A spinal cord injury can have serious and lifelong consequences. If you or a loved one has suffered a spinal cord injury in a bike or motorcycle accident, you need an attorney with the resources, knowledge and dedication to fight for you. Have You or a Loved One Experienced a Spinal Cord Injury From a Motorcycle or Bike Accident? 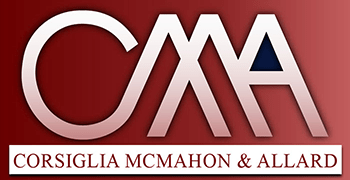 At the law firm of Corsiglia McMahon & Allard, L.L.P., we are nationally recognized for our work in personal injury law. We are prepared to do whatever is necessary to help the victims of spinal cord injuries get full compensation for the harm done to them. Contact us today to schedule a free initial consultation to discuss your spinal cord injury situation. You will not pay us anything unless we obtain compensation for you. Call (408) 289-1417 to speak with a San Jose spinal cord injury attorney today. The impact of a spinal cord injury on your day-to-day life varies enormously from person to person, but every spinal cord injury is a serious matter. Car and motorcycle accidents account for roughly half the spinal cord injuries that occur in the United States. 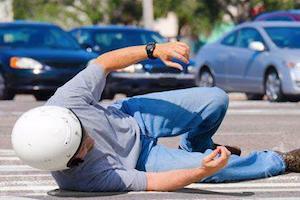 Like bicyclists, motorcycle riders are highly exposed and tend to suffer severe injuries when struck by cars or trucks. Spinal cord injuries generally require a lifetime of care. The costs associated with that care are tremendous. If you or a loved one has suffered a spinal cord injury, you need to take action to protect your rights. At Corsiglia McMahon & Allard, L.L.P., our San Jose spinal cord injury lawyers can seek the full compensation you deserve through aggressive negotiation and, when necessary, trial work. To discuss your case with one of our experienced attorneys, contact our San Jose office and schedule a free initial consultation at (408) 289-1417.